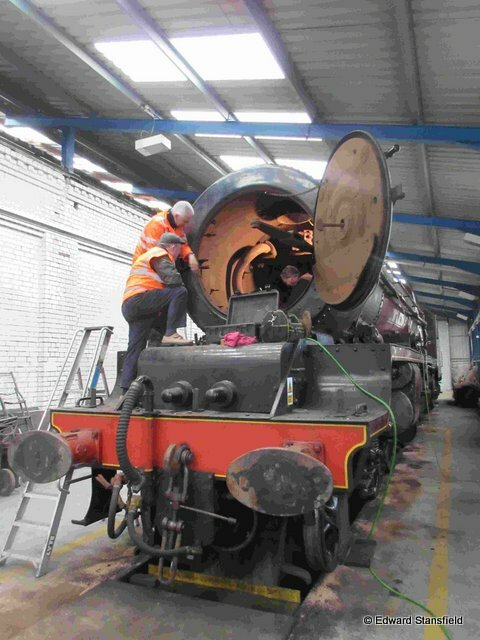 The team at Carnforth have been making very good progress with the locomotive since the last update, and though there is still work to do, we’re very pleased to report on the work completed so far. To date, all welding work has now been completed, new piston rings have been installed, and new valve rings which have been manufactured and fitted too. The locomotive has also undergone a full ‘3D scan’ for gauging purposes. This means that when the repairs are complete, No. 6201 Princess Elizabeth will be certified for operation on certain mainline routes; size and weight permitting, and we expect the locomotive to be the largest locomotive on the national network once more. Back in late 2016, 6201 was withdrawn from service with leaking small tubes, which needed to be replaced. We are pleased to announce that the new tubes are now installed, but we are still actively fundraising for the cost of installation, and would really appreciate your continued support with donations so that we can reach our fundraising target, which is now within reaching distance.